will guide your local coin parking. On the day of cancellation we have received 100% of the course meal price . By any chance in case of cancellation please contact us the day before . Store are all non smoking. 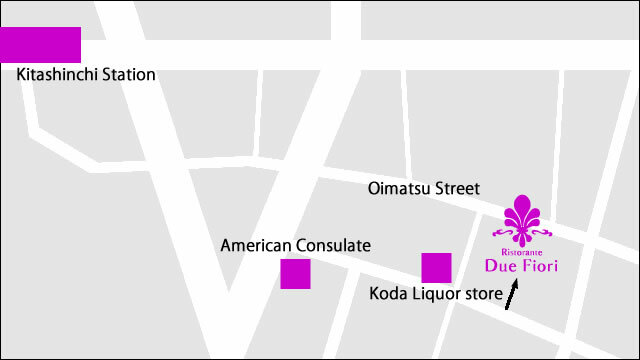 ※ We have established the smoking areas outside the shop. We will guide you to change your number of articles and amount. Please contact until two days before visiting. Enter the store under the age of 15, please refrain. ※ It will be charged separately consumption tax of 8%. ※ For the convenience of the food arrangements, if you have your weak-allergy food, please contact until two days before visiting. © DUE FIORE. all rights reserved.